Whole Life vs. Term Life: What is Best for You? Whole Life vs. Term Life: What is Best for You? 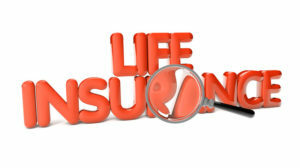 Weigh up the benefits of securing either term life insurance or whole life insurance. While no one likes to think about it, life insurance is a must. Are there people counting on you for income? If you were to pass suddenly, would these people be stuck for funeral costs and everyday living expenses? Do you have a plan in place to make sure you don’t wreck your loved ones’ finances? It’s not just about making sure you have life insurance. Getting the right type of insurance matters just as much. It can mean a difference of thousands of dollars over your lifetime. There are dozens of life insurance products that are fine-tuned for specific target markets, but they all fall into two broad categories: term and whole. Term insurance is basic life insurance – it is designed to provide financial protection to your beneficiaries for a specific amount of time, usually 10, 15, or 20 years. Premiums typically remain the same throughout the entire period, but may increase if you renew the term life policy. Term life insurance is typically less expensive than permanent life insurance. Whole life insurance is a permanent life insurance that never expires before your death, so long as you pay the premium. Policy premiums are usually fixed, and, unlike term life, has a cash value, and may be cashed out once you retire and don’t need the policy any longer. This policy can be useful as part of a highly customized personal finance or estate planning strategy. Tags: Whole Life vs. Term Life: What is Best for You?